The Philadelphia 76ers (also commonly known as the Sixers) are an American professional basketball team based in the Philadelphia metropolitan area. The 76ers compete in the National Basketball Association (NBA) as a member of the league's Eastern Conference Atlantic Division and play at Wells Fargo Center. Founded in 1946 and originally known as the Syracuse Nationals, they are one of the oldest franchises in the NBA, and one of only eight (out of 23) to survive the league's first decade. The 76ers have had a rich history, with many of the greatest players in NBA history having played for the organization, including Wilt Chamberlain, Hal Greer, Billy Cunningham, Julius Erving, Moses Malone, Charles Barkley, and Allen Iverson. They have won three NBA championships, with their first coming as the Syracuse Nationals in 1955. The second title came in 1967, a team which was led by Chamberlain. The third title came in 1983, won by a team led by Erving and Malone. The 76ers have only been back to the NBA Finals once since then: in 2001, where they were led by Iverson and lost to the Los Angeles Lakers in five games. In 1946, Italian immigrant Daniel Biasone sent a $5,000 check to the National Basketball League offices in Chicago, and the Syracuse Nationals became the largely Midwest-based league's easternmost team, based in the Upstate New York city of Syracuse. The Syracuse Nationals began play in the NBL in the same year professional basketball was finally gaining some legitimacy with the rival Basketball Association of America that was based in large cities like New York and Philadelphia. While in the NBL with teams largely consisting of small Midwestern towns, the Nationals put together a 21–23 record, finishing in fourth place. In the playoffs, the Nationals would be beaten by the fellow upstate neighbor Rochester Royals in four games. After a stellar career at Syracuse University, Billy Gabor joined the Nationals in 1948 and played with them for his entire six-year career; he won a championship in 1955. Several teams began to leave the NBL for the BAA as the foundation for an absorption was laid. The Nationals "recipe for success" began by recruiting Leo Ferris. Staying in the NBL, Ferris signed Al Cervi to be player coach and outbid the New York Knicks for the services of Dolph Schayes who made his professional debut, leading the Nationals to a winning record for the first time with a record of 41–22. In the playoffs the Nationals would make quick work of the Hammond Calumet Buccaneers, winning the series in 2 straight games. However, in the semifinals the Nationals would fall to the Anderson Duffey Packers for the second straight season in four games. In 1949, the Nationals were one of seven NBL teams that were absorbed by the Basketball Association of America to form the NBA. The Nationals were an instant success in the NBA, winning the Eastern Division in the 1949–50 season, with a league best record of 51–13. In the playoffs the Nationals continued to play solid basketball, beating the Philadelphia Warriors in 2 straight. Moving on to the Eastern Finals, the Nationals battled the New York Knickerbockers, beating their big city rivals in a 3-game series. In the NBA Finals, the Nationals faced fellow NBL alums the Minneapolis Lakers. In Game 1 of the Finals the Nationals lost just their second home game of the season 68–66. The Nationals did not recover, as they fell behind 3–1 before falling in six games. Despite several teams leaving the NBA for the National Professional Basketball League before the 1950–51 season, the Nationals decided to stay put. In their second NBA season, 1950–51, the Nationals played mediocre basketball all season, finishing in fourth place with a record of 32–34. However, in the playoffs the Nationals played their best basketball of the season as they stunned the first place Warriors in two straight, taking Game 1 on the road in overtime 91–89. In the Eastern Finals the Nationals were beaten by the New York Knickerbockers in a hard-fought 5-game series, losing the finale by just 2 points. Cervi, playing less and coaching more, emphasized a patient offense and a scrappy defense, which led the league in the 1951–52 season by yielding a stingy 79.5 points per game as the Nationals won the Eastern Division with a solid 40–26 record. In the playoffs the Nationals knocked off the Warriors again in a 3-game series. However, in the Eastern Finals the Nationals fell to the Knickerbockers again, dropping the series in four games. The Nationals would finish in second place in a hard-fought 3-way battle for first place in the Eastern Division for the 1952–53 season, with a record of 47–24. In the playoffs the Nationals would face the Boston Celtics dropping Game 1 at home 87–81. Needing a win in Boston to keep their hopes alive, the Nationals would take the Celtics deep into overtime before losing in quadruple OT 111–105, in what remains the longest playoff game in NBA history. The Nationals acquired Alex Groza, and Ralph Beard as the Indianapolis Olympians folded leaving the NBA with just 9 teams for the 1953–54 season. Once again the Nationals would battle for the Division title falling two games short with a 42–30 record. In the playoffs the Nationals would win all four games of a round robin tournament involving the three playoff teams from the East. In the Eastern Finals the Nationals would stay hot beating the Celtics in 2 straight games. However, in the NBA Finals the Nationals would lose to the Lakers in a hard-fought 7-game series where the 2 teams alternated wins throughout. Dolph Schayes joined the Syracuse Nationals in 1949 and played with them for his entire career; he won a championship in 1955. With the NBA struggling financially and down to just 8 teams Nationals owner during the 1954–55 season, Biasone suggested the league limit the amount of time taken for a shot thus speeding up a game that often ended with long periods of teams just holding the ball and playing keep away. Biasone and Nationals' general manager Ferris calculated a 24-second shot clock would allow at least 30 shots per quarter speeding up the game and increasing scoring. The Shot Clock was an instant success as scoring was up 14 points per game league wide. In the first season of the shot clock the Nationals would take first place in the East with a 43–29 record. After a first round bye the Nationals would beat the Celtics in four games to reach the NBA Finals for the second straight season. In the finals the Nationals would get off to a fast start, led by forward Schayes, taking the first two games at home against the Fort Wayne Pistons. However, as the series moved to Fort Wayne the Pistons would spark back to life taking all three games to take a 3–2 series lead. Back in Syracuse for Game 6 on the Nationals kept Championship hopes alive by beating the Pistons 109–104 to force a seventh game at home. Game 7 would be as tight as the series as George King sank a free throw to give the Nationals a 92–91 lead in the final seconds. King would then steal the inbound pass to clinch the NBA Championship for the Nationals. Coming off their NBA Championship the Nationals struggled during the 1955–56 season, needing a tiebreaker over the Knickerbockers to avoid finishing in last place and make the playoffs with a 35–37 record. However, in the playoffs the Nationals would stun the Celtics winning the first round series in three games by taking the final two games. In the Eastern Finals the Nationals played solid basketball again as they pushed the Warriors to a decisive fifth game. However, the Nationals' reign as champions would end with a 109–104 loss in Philadelphia. The Nationals would get off to a slow start as coach Cervi was fired and replaced by Paul Seymour. Under Seymour the Nationals would rebound and finish the 1956–57 season in second place with a record of 38–34. In the playoffs the Nationals would have trouble knocking off the defending champion Warriors advancing to the Eastern Finals with 2 straight wins. However, the Nationals would be swept in 3 straight games by the eventual champions, the Celtics. Fort Wayne and Rochester had moved on to Detroit and Cincinnati for the 1957–58 season, leaving the Syracuse Nationals as the last small town team in the big city NBA. That would not matter on the court as the Nationals held their own finishing in second place with a 41–31 record. However, in the playoffs the Nationals would fall in the first round as they lost a 3-game series to the Philadelphia Warriors. Despite a mediocre 35–37 record for the 1958–59 season the Nationals would make the playoffs again by finishing in third place. In the playoffs the Nationals would once again rise to the occasion sweeping the Knickerbockers in 2 straight to reach the Eastern Finals, where they gave the eventual champion Celtics all they could handle, alternating wins before falling by 5 points in Game 7. Hal Greer joined the Nationals in 1958 and spent his entire 15-season career with the franchise; he won a championship with the team in 1967. Playing in a league now dominated by superstars like Bill Russell of the Celtics, Wilt Chamberlain of the Warriors and Bob Pettit of the St. Louis Hawks, the Nationals held their own posting a solid 45–30 record, while finishing in third place after the 1959–60 regular season. However, in the playoffs the Nationals would lose a 3-game series to Chamberlain and the Warriors. With the Lakers relocating from Minneapolis to Los Angeles before the 1960–61 season, the Syracuse Nationals became the last old NBL team to still be playing in their original city in the NBA. The Nationals would go on to make the playoffs again by finishing in third place with a 38–41 record. The Nationals would prove to be dangerous in the playoffs as they stunned the Warriors in 3 straight games. However, in the Eastern Finals the Nationals would be knocked off once again by the eventual champion Celtics in five games. Schayes missed 24 games during the 1961–62 season and failed to lead the team in scoring for the first time in 14 years, as Hal Greer led the way with 22.8 points per game. The Nationals would go on to finish in third place again with a 41–39 record. In the playoffs the Nationals would drop their first two games to the Warriors on the road. Facing elimination the Nationals would win the next two games to force a fifth game in Philadelphia. However, in Game 5 the Warriors would prove to be too strong as they ended the Nationals' season with a 121–104 victory. With an aging team the Nationals were expected to fade; however, with the scrappy play of Johnny Kerr, the Nationals remained a strong contender, finishing in second place for the 1962–63 season, with a record of 48–32. In the playoffs the Nationals would face the Cincinnati Royals, getting off to a 2–1 series lead. However, needing a win to advance to the Eastern Finals again the Nationals would lose 2 straight dropping the decisive fifth game at home in overtime 131–127. Convention Hall, previous home of the Philadelphia Warriors from 1952 to 1962; home of the Sixers from 1963 to 1967. The playoff overtime loss on March 26, 1963, would prove to be the last game for the Syracuse Nationals, as investors Irv Kosloff and Ike Richman purchased the team from Danny Biasone and moved the team to Philadelphia, filling the void left by the Warriors. Syracuse was the last of the medium-sized cities housing an NBA team, but by then it was apparent that central New York was no longer large enough to support it. The NBA thus returned to Philadelphia one year after the Warriors had left for San Francisco. A contest was held to decide on a new name for the team. The winning name, chosen by Walter Stalberg, was the "76ers". The name comes from the signing of the United States Declaration of Independence in Philadelphia in 1776. Newspaper writers liked the name because it was easily shortened to "Sixers" in headlines. [citation needed] The shorter name was quickly accepted by the team for marketing purposes, and for most of the last half-century "76ers" and "Sixers" have been officially interchangeable. For their first four years in Philadelphia, the 76ers played mostly at the Philadelphia Arena and Civic Center-Convention Hall, with an occasional game at The Palestra at the University of Pennsylvania. Schayes was named head coach, a post he held for four years (the first as player-coach). In the 1964–65 season, the 76ers acquired the legendary Wilt Chamberlain from the Warriors; Chamberlain had been a high school legend at Overbrook High School in Philadelphia and began his career with the Warriors while they still played in Philadelphia. The 76ers would push the Celtics to seven games in the semifinals, with the 76ers trailing 110–109 in Game 7. After Hal Greer's pass was stolen by John Havlicek, the Celtics went on to beat the Los Angeles Lakers and win the NBA Championship. On December 3, 1965, in the midst of a game at the Boston Garden, co-owner Richman suffered a heart attack and died courtside. In the 1967–68 season, with a new home court in the form of The Spectrum to defend their championship, once again the 76ers made it back to the NBA Playoffs and in the rematch of the previous year's semifinals, the 76ers held a 3–1 series lead over the Celtics, before the Celtics staged a dramatic comeback to beat the Sixers in seven games. At the end of the season, the 76ers dealt Chamberlain to the Los Angeles Lakers for Archie Clark, Darrall Imhoff and Jerry Chambers. At the time, the trade appeared to make some sense from the 76ers' perspective. Chamberlain was making noises about jumping to the American Basketball Association, and general manager Jack Ramsay did not want to risk letting Chamberlain walk away for nothing. Nonetheless, the Sixers did not get nearly enough in return. The man who was in position to take over as the center, Lucious Jackson, suffered a severe injury in 1969 and was never the same player after that. The Chamberlain trade sent the Sixers into a freefall, which Ramsay accelerated by subsequent divestiture of All Star forward Chet Walker to the Chicago Bulls. Billy Cunningham played nine seasons with the Sixers, and would later coach them for eight more seasons. The bottom fell out in the 1972–73 season. For all intents and purposes, the season ended when Cunningham bolted to the ABA, leaving the Sixers with a roster of Greer and little else. The 76ers lost their first 15 games of the season, and a few months later set a then-record 20-game losing streak in a single season. Their record following the 20-game losing streak was 4–58, and the team at that point had just lost 34 of 35 games. The 76ers finished the season with a 9–73 record, leading the skeptical Philadelphia press to call them the "Nine and 73-ers". Under coach Roy Rubin the 76ers went 4–47. It was his first and, as it turned out, his last NBA coaching job. He was succeeded by player-coach Kevin Loughery, who went 5–26 the rest of the way. The 76ers finished an NBA-record 59 games behind the Atlantic Division champion Boston Celtics. The nine wins by the 1972–73 squad is the fourth fewest in NBA history, and remains the fewest for a full 82-game season. The 73 losses, although threatened several times, remains the all-time low-water mark for any NBA franchise. The 76ers’ 0.110 winning percentage was a record worst at the time, and is still the second lowest in NBA history, broken only by the 2011–12 Charlotte Bobcats, who finished 7–59 for a .106 winning percentage in a season shortened due to a lockout. Only six seasons earlier, the 76ers had set the NBA record for most wins in a season. The 76ers of 1972–73 are generally considered to be the worst team an NBA franchise has ever put on the court – although NBA historian Kyle Wright argued in a 2007 study that owing to weaker schedules the 1992–93 Mavericks and 1997–98 Nuggets, both of whom won eleven games, plus the inaugural Cleveland Cavaliers who played an extremely weak schedule, were actually poorer teams. The next year, the 76ers would hire Gene Shue as their head coach and they slowly came back. In the 1975–76 season, the 76ers acquired George McGinnis from the Indiana Pacers of the ABA (after the Knicks tried to sign him, not knowing that the 76ers owned his rights). With him, the 76ers were back in the playoffs after a five-year absence, and even though they lost to the Buffalo Braves in three games, a "Doctor" would come along and get the team healthy enough to stay in perennial contention. During this period, however, one last personnel misjudgment had effects when the team used the fifth pick overall in the 1975 draft to select Darryl Dawkins directly from high school. The immensely talented and physically imposing Dawkins seldom, if ever, lived up to his great potential in part because of a perpetual adolescence. The Sixers finally came all the way back in 1976–77, in large part due to a byproduct of the ABA–NBA merger. The ABA's last champions, the New York Nets, were facing having to pay almost $5 million to the Knicks for "invading" the New York area on top of the $3.2 million expansion fee for joining the NBA. When the Sixers offered to buy the contract of the Nets' franchise player, Julius Erving, for $3 million—roughly the cost of NBA membership—the Nets had little choice but to accept. A few months before that trade, Kosloff had sold the Sixers to local philanthropist Fitz Eugene Dixon Jr., grandson of George Dunton Widener and heir to the Widener fortune. Led by Erving, the 76ers began an exciting ride for the fans of Philadelphia, beating their long-time rival from Boston in a seven-game playoff to advance to the Eastern Conference Finals. There, they defeated the Houston Rockets, led by future 76er Moses Malone, in six games to advance to the NBA Finals. In the Finals, they sprinted to a 2–0 series lead over the Bill Walton-led Portland Trail Blazers—who were coached by former 76ers' coach/general manager Jack Ramsay—only to drop the next four games in a row to give the Blazers the title. That led to the 1977–78 motto of "We owe you one", which would ultimately backfire when they lost in the conference finals that season to the Washington Bullets, who went on to win the NBA championship. In the next four seasons, the 76ers would fall short of the NBA Championship, even after Shue handed the coaching reins to former great Billy Cunningham. In the 1980 NBA Finals against the Los Angeles Lakers, they lost 4–2. In Game Six, rookie Magic Johnson played center for the Lakers in place of Kareem Abdul-Jabbar (who was out because of a sprained ankle sustained in Game Five) and scored 42 points. In the 1981 Eastern Conference Finals, the 76ers opened a 3–1 series lead over the Celtics only to see Boston come back and win the series in seven games. The following season, the 76ers again faced the Celtics in the Eastern Conference Finals, and again jumped to a 3–1 series lead only to see Boston forge a 3–3 series tie. The 76ers were given little chance of winning as they faced the Celtics in Game Seven at Boston Garden. This time, they played angry but inspired basketball, pulling away to a 120–106 victory and becoming the third NBA road team to win Game 7 after leading series 3–1. In the game's closing moments, the Boston Garden fans began chanting "Beat L.A., Beat L.A.", as they realized their team would lose the playoff series to a hated opponent (Philadelphia 76ers), nonetheless openly wished that opponent good luck in the next round against a more hated opponent (the Los Angeles Lakers). The team lost the 1982 Finals in six games against the Los Angeles Lakers. Harold Katz bought the 76ers from Dixon in 1981. On his watch, the final piece of the championship puzzle was completed before the 1982–83 season when they acquired center Moses Malone from the Houston Rockets. Led by Hall of Famers Julius Erving, Maurice Cheeks, and All-Star, Andrew Toney and Bobby Jones they dominated the regular season, winning 65 games in what is still the second most winning year in franchise history. Malone was named League MVP, and when reporters asked how the playoffs would run, he answered, "four, four, four"—in other words, saying that the 76ers needed to win four games in each of the 3 rounds. The media misinterpreted this and assumed Moses was predicting that the 76ers would sweep all three rounds to win the title, with the minimum 12 games. Malone's accent made his boast sound like "fo', fo', fo'." However, the 76ers backed up Malone's boast. They made a mockery of the Eastern Conference playoffs, first sweeping the New York Knicks and then beating the Milwaukee Bucks in five games. The 76ers went on to win their third NBA championship (and second in Philadelphia) with a four-game sweep of the Los Angeles Lakers, who had defeated them the season before. Malone was named the playoffs' MVP. The 76ers did not quite fulfill Malone's prediction, as their run was actually "fo', fi', fo" ("four, five, four") – a loss to the Bucks in game four of the Eastern finals being the only blemish on their playoff run. Nonetheless, their 12–1 playoff record is tied for the fewest losses in league history with the 2000–01 Lakers, who went 15–1 en route to the NBA title, coincidentally beating the 76ers in the Finals (after suffering their only defeat that postseason in Game 1), and also with the 2016-2017 Golden State Warriors, who won the title with a 16–1 playoff record. The Philadelphia-based group Pieces Of A Dream had a minor hit in 1983 with the R&B song "Fo-Fi-Fo", which title was prompted by Malone's quip. This also marked the last championship in Philadelphia until the Phillies won the 2008 World Series. After a disappointing 1983–84 season, which ended with a five-game loss to the upstart New Jersey Nets in the first round of the playoffs, Charles Barkley arrived in Philadelphia for the 1984–85 season. For the next eight seasons, Barkley brought delight to the Philadelphia fans thanks to his humorous and sometimes controversial ways. The Sixers returned to the Eastern Conference Finals in Barkley's rookie season, but lost to the Boston Celtics in five games. As it turned out, they would never again advance as far during Barkley's tenure in Philadelphia. Following the 1984–85 season, Matt Guokas replaced Billy Cunningham as head coach. Guokas led the 76ers to a 54–28 record and the second round of the 1986 playoffs, where they were defeated by the Milwaukee Bucks in seven games. On June 16, 1986, Katz made two of the most controversial and highly criticized personnel moves in franchise history, trading Moses Malone to Washington and the first overall pick in the 1986 NBA draft (which had been obtained from the San Diego Clippers in a 1979 trade for Joe Bryant) to the Cleveland Cavaliers. In return, the 76ers received Roy Hinson, Jeff Ruland, and Cliff Robinson, none of whom played more than three seasons with the team. Cleveland, meanwhile, turned their acquired pick into future All-Star Brad Daugherty. On the night of the 1986–87 season opener, Julius Erving announced he would retire after the season, which was subsequently filled with tributes in each arena the Sixers visited. On the court, the team suffered through an injury-plagued campaign, but still managed to make the playoffs with a 45–37 record. Their season would end at the hands of the Bucks again, this time in a best-of-five first round series that went the distance. Charles Barkley would spend eight seasons with the Sixers. In 1988–89, Philadelphia returned to the playoffs after a one-year absence, but was swept in the first round by the New York Knicks. In 1989–90, Barkley finished second in the league's MVP voting, as the Sixers won the Atlantic Division title with a 53–29 record. After defeating Cleveland in the first round of the playoffs, Philadelphia faced Michael Jordan and the Chicago Bulls in the second round. The 76ers fell to the Chicago Bulls in five games, and would do the same in 1991 after sweeping the Bucks in the first round. In the 1991–92 season, the 76ers went 35–47 and missed the playoffs for the just the second time during Barkley's eight seasons in Philadelphia. On June 17, 1992, Barkley was traded to the Phoenix Suns for Jeff Hornacek, Tim Perry, and Andrew Lang, a deal that was met with harsh criticism. Lynam relinquished his head coaching position to become general manager following the 1991–92 season, and hired Doug Moe to fill the vacancy. Moe's tenure lasted just 56 games, with the Sixers posting a 19–37 record. Popular former player and longtime assistant coach Fred Carter succeeded Moe as head coach in March 1993, but could only manage a 32–76 record at the helm. Following the 1993–94 season, the 76ers hired John Lucas in the dual role of head coach and general manager. The enthusiastic Lucas had been successful as a head coach for the San Antonio Spurs, and Philadelphia hoped he could breathe new life into the 76ers. It proved disastrous, as the team went 42–122 in its two seasons under Lucas. The acquisition of unproductive free agents such as Scott Williams and Charles Shackleford, players at the end of their careers such as LaSalle Thompson, Orlando Woolridge, and Scott Skiles along with stunningly unwise high draft picks such as Shawn Bradley and Sharone Wright were also factors in the team's decline. In fact, Wright would only play four seasons in the NBA while Temple product Eddie Jones—drafted 4 slots below Wright in 1994 by the L.A. Lakers—had 16 productive seasons as an NBA player. Ed Snider purchased the 76ers in 1996. Starting with the 1990–91 season, and ending with the 1995–96 season, the 76ers had the dubious distinction of seeing their win total decrease each year. The nadir was the 1995–96 season, when they finished with an 18–64 record, the second-worst in franchise history at the time. It was also the second-worst record in the league that year, ahead of only the expansion Vancouver Grizzlies but behind the Toronto Raptors, who were also in their inaugural season. That season would turn out to be their last in The Spectrum. Katz, unpopular among fans since the 1986 trades, sold the team to Comcast Spectacor, a consortium of Philadelphia Flyers owner Ed Snider and Comcast Corporation, at the end of the 1995–96 season. Snider had been the 76ers' landlord since gaining control of the Spectrum in 1971. Pat Croce, a former trainer for the Flyers and Sixers, took over as president. Many 76ers fans call these years "The Dark Ages". However, after many years of misfortune, there was a bright spot. The team won the lottery for the top pick in the 1996 NBA draft. Questions remained, but with the first pick, the Sixers found their "Answer": Allen Iverson. With new ownership, Iverson in place, and the 76ers moving into the CoreStates Center, things seemed to finally be heading in a positive direction. Croce fired Lucas as both coach and general manager. Johnny Davis was named head coach, while Brad Greenberg took over as general manager. Iverson was named Rookie of the Year, but Philadelphia's overall improvement was minimal, as they finished with a 22–60 record. Changes had to be made, and after the 1996–97 season, Davis and Greenberg were both fired and the unveiling of a new 76ers team logo and jerseys marked a new era. To replace Davis, Larry Brown was hired as head coach. Known for a defense-first approach and transforming unsuccessful teams into winners by "playing the right way", Brown faced perhaps his toughest coaching challenge. He often clashed with Iverson, but the 76ers improved to 31 wins in 1997–98. Early in the 1997–98 season, the Sixers traded Jerry Stackhouse, who had been the third overall pick in the 1995 NBA draft, to the Detroit Pistons. In exchange, Philadelphia received Aaron McKie and Theo Ratliff, defensive standouts who would have an impact in the team's resurgence. Another key figure in the team's rise, Eric Snow, was added in a trade with the Seattle SuperSonics in January 1998. Prior to the 1998–99 season, the 76ers signed George Lynch and Matt Geiger, but a lockout delayed the start of the season, which was shortened to 50 games. During the season, Philadelphia acquired Tyrone Hill in a trade with Milwaukee. The team began its resurgence during this lockout-shortened season, finishing with a 28–22 record and the sixth seed in the Eastern Conference playoffs, marking the first time since 1991 the team reached the postseason. In the first round, Philadelphia upset the Orlando Magic 3–1, before being swept by the Indiana Pacers. The following season, the Sixers improved to 49–33, fifth in the Eastern Conference. Again, the Sixers won their first round series in four games, this time defeating the Charlotte Hornets. For the second straight year, they were defeated by Indiana in the second round, this time in six games. Though the team was moving in a positive direction, Iverson and Brown continued to clash, and their relationship deteriorated to the point where it seemed certain Iverson would be traded. A rumored trade to the Los Angeles Clippers fell through, but a complicated four-team deal that would've seen Iverson sent to Detroit was agreed upon, only to see it dissolve due to salary cap problems. When it became clear Iverson was staying in Philadelphia, he and Brown worked to patch things up, and the team would reap the benefits in 2000–01. During the 2000–01 season, the 76ers got off to a hot start by winning their first ten games and were never seriously challenged in the Atlantic Division. Larry Brown coached the Eastern Conference All-Stars, and Allen Iverson was named MVP of the All-Star Game. Shortly before the All-Star break, Theo Ratliff was lost for the season with a wrist injury, one that would later prove to be devastating to his future career. Despite holding a 41–14 record and a comfortable lead atop both the Atlantic Division and Eastern Conference standings at the time of the February 22 trade deadline, management felt the team needed an established center to advance deep into the playoffs. On that day, Philadelphia acquired Dikembe Mutombo from the Atlanta Hawks in a deal that sent the injured Ratliff along with Nazr Mohammed, Toni Kukoč, and Pepe Sánchez to Atlanta (Sánchez was reacquired later in the season after the Hawks waived him). The 76ers went on to finish 56–26, good enough for their first Atlantic Division title since 1989–90 and top seed in the Eastern Conference Playoffs. In the first round of the playoffs, Philadelphia faced Indiana yet again. In Game One, the 76ers wasted an 18-point lead and lost, 79–78, when Reggie Miller hit a three-pointer in the closing seconds. Philadelphia fought back, however, and took the next three games to win the series. In the Eastern Conference Semifinals, the Sixers squared off against the Toronto Raptors and their superstar, Vince Carter. The teams alternated wins in the first four games, with Iverson scoring 54 points in Philadelphia's Game Two victory. A Game Five win (with Iverson scoring 52 in a 121–88 rout) and Game Six loss set up a decisive Game Seven, which the 76ers survived as Carter missed a long jump shot at the buzzer for an 88–87 victory that sent the Sixers to the Eastern Conference Finals against the Milwaukee Bucks. After the teams split the first two games of the series in Philadelphia, it was learned Iverson would miss Game Three due to various nagging injuries that had plagued him late in the season. Though most predicted a Milwaukee cakewalk, the 76ers kept the game close before falling, 80–74. Philadelphia seemed to gain momentum despite the loss, and they would win Games Four and Five. Milwaukee put any Sixer celebration plans on hold by building up a 33-point lead in the third quarter of Game Six, but the 76ers would make a furious fourth-quarter rally before falling 110–100. Struggling in the series up to that point, Iverson scored 26 points in the final quarter to finish with 46 on the night and appeared to have gotten a second wind. In Game Seven, the Bucks jumped out to a 34–25 second quarter advantage before seldom-used reserve Raja Bell scored 10 points to spark a 23–4 run that gave Philadelphia the lead for good. Iverson scored 44 points and the 76ers pulled away in the second half, winning by a 108–91 score to put them in the NBA Finals for the first time since 1983. As had been the case in their three previous Finals appearances, their opponent would be the Los Angeles Lakers, who had run up an 11–0 record in the first three rounds of the playoffs and were expected by many to make quick work of a worn-down 76ers squad. Because of a seemingly meaningless loss to the lowly Chicago Bulls in the regular season finale (both the Sixers and the Lakers finished with identical 56–26 records, but Los Angeles was awarded a higher seed based on tiebreakers), the NBA Finals marked the first time in the 2001 playoffs in which the 76ers had to start a series on the road. In Game One, the Lakers jumped out to an 18–5 lead, but the 76ers stormed back to take a 15-point lead in the second half. Los Angeles rallied to force a 94–94 tie at the end of regulation before scoring the first five points of the overtime period, but the 76ers closed the game on a 13–2 run for a 107–101 triumph. Iverson hit a go-ahead three-pointer with 1:19 to go in the extra period, and followed that with a jump shot after which he infamously stepped over Tyronn Lue after making the basket. Eric Snow hit a running jump shot in the waning seconds with the shot clock expiring to clinch the stunning victory. The series would come back to Philadelphia even as Los Angeles took Game Two, 98–89. In Game Three, Shaquille O'Neal fouled out late in the fourth quarter, and the Sixers pulled to within a point with less than a minute to play after trailing by 12 earlier in the second half. Robert Horry, however, hit a clutch three-pointer in that final minute, and the Lakers prevailed, 96–91. Los Angeles wrapped up the second of what would be three consecutive NBA titles with a 100–86 win in Game Four and a 108–96 victory in Game Five. In addition to their Atlantic Division and Eastern Conference titles, the 2000–01 76ers featured the NBA's MVP (Iverson), Coach of the Year (Brown), Defensive Player of the Year (Mutombo), and Sixth Man of the Year (Aaron McKie). The 76ers went into the 2001–02 season with high expectations, but were able to produce only a 43–39 record, sixth in the Eastern Conference. In the first round of the playoffs, Philadelphia was defeated 3–2 by the Boston Celtics. In the 2002–03 season, the 76ers sprinted to a 15–4 start, but a 10–20 swoon left them 25–24 at the All-Star break. After the break, the 76ers caught fire, winning nine in a row at one point, and 23 of their last 33 to finish at 48–34, earning the fourth seed in the Eastern Conference playoffs. Iverson scored 55 points in the playoff opener against the New Orleans Hornets and the Sixers went on to win the series in six games. In the second round, the Detroit Pistons ended Philadelphia's playoff run in a frustrating six-game series that saw the 76ers lose twice in overtime, and once on a last-second shot in regulation. It would be nine years before the Sixers won another playoff series. On Memorial Day, 2003, Brown abruptly resigned as head coach, taking over the reins in Detroit a few days later. Brown's Pistons would win the 2004 NBA Championship over the Los Angeles Lakers, in some ways avenging his loss to them in 2001. After being turned down by Jeff Van Gundy and Eddie Jordan, the 76ers hired Randy Ayers, an assistant coach under Brown, as their new head coach. Ayers lasted only 52 games and was fired with the team's record at 21–31. Chris Ford took over, but the 76ers finished the 2003–04 season at 33–49, missing the playoffs for the first time in six years. Iverson, who was at odds with Ford throughout the interim coach's tenure, played only 48 games in a stormy, injury-plagued season. For the 2004–05 season, Philadelphia native Jim O'Brien was named head coach. Iverson was moved back to point guard and flourished, having arguably his finest season. He also impressed many with his willingness to get other players involved in the offense. During this season, Philadelphia acquired Chris Webber in a trade with the Sacramento Kings, with the hopes that the team had at long last found a consistent second scoring option to compliment Iverson. Andre Iguodala, Philadelphia's first-round pick in the 2004 NBA draft, was named to the All-Rookie First Team, and the 76ers returned to the postseason with a 43–39 record. In the first round, they were defeated in five games by the defending NBA Champion Pistons, coached by Larry Brown. Though the 2004–05 season, the 76ers exceeded many on-court expectations, there was a great deal of behind-the-scenes tension between O'Brien, his players, and the front office. Shortly after the season ended, O'Brien was fired and replaced by the popular Maurice Cheeks, who played for the team from 1978 to 1989, and was the starting point guard for the 1983 NBA Champions. However, the coaching change did not help team's fortunes for the 2005–06 season. A 2–10 stretch in March doomed them to missing the playoffs for the second time in three years with a 38–44 record. With the opening of the 2006–07 season, the 76ers started out hot, going 3–0 for the first time since making it to the Finals five years previously. However, they stumbled through the first half of the season and could not quite recover, finishing 35–47, good for third in the Atlantic Division, and ninth in the Eastern Conference (tied with Indiana). On December 5, 2006, disappointed with the direction the team was headed, Allen Iverson gave the 76ers management an ultimatum: find players who will help support me or trade me. This was confirmed via an in-game interview with team owner, Ed Snider. On December 19, 2006, Allen Iverson, along with Ivan McFarlin, were sent to the Denver Nuggets in exchange for guard Andre Miller, forward Joe Smith, and two first-round draft picks. Then, on January 11, the 76ers' general manager Billy King announced that the Sixers and aging forward Chris Webber had agreed to a buyout of the remainder of his contract. The Sixers would pay Webber $36 million over the next 1½ seasons, which is $7 million less than he would have been paid to play. After the buyout, the Sixers waived Webber, making him a free agent. Webber signed with the Detroit Pistons shortly thereafter. The Sixers drafted Georgia Tech small forward Thaddeus Young with the 12th pick, traded with the Miami Heat for 21st pick Colorado State power forward Jason Smith, traded with the Portland Trail Blazers for 42nd pick Vanderbilt guard-forward Derrick Byars, and then finally traded with the Utah Jazz for Providence power forward Herbert Hill. On December 4, 2007, the Sixers fired King and replaced him with Nets' general manager Ed Stefanski. With Iguodala, the Sixers clinched a playoff berth with a win over the Atlanta Hawks on April 4, 2008. It was their first postseason appearance since 2005, as well as the first in the post-Iverson era. However, they were eliminated by the Pistons in six games, with Detroit winning the series 4–2. Even with this elimination, many fans considered this to be a successful season, considering that the Sixers were 12 games under .500 in early February and went on to have a run that led them to the playoffs and a 40–42 record. On July 9, 2008, the 76ers signed power forward Elton Brand to a five-year, $79.795 million contract, after trading Rodney Carney and renouncing their rights to all their unrestricted free agents. Brand had originally opted out of his contract with the Los Angeles Clippers, looking to re-sign with them. But the 76ers offered him more money (he regarded their offer as the "Philly-Max") and a better chance at winning an NBA championship by playing in the Eastern Conference. This move has been the subject of controversy since there were rumors that he and Baron Davis had made a friendly agreement to play together for the Clippers. The team later signed free agent point guard Royal Ivey of the Milwaukee Bucks, Kareem Rush from the Indiana Pacers, and then signed former Sixer Theo Ratliff after Jason Smith's injury. Donyell Marshall was signed on September 2, 2008, after he stated to his agent that he wanted to go back home and end his career in Philadelphia. Rush, Ivey, Ratliff and Marshall were all paid the veteran's minimum salary, but they were to be contributors to a team on the rise. During the off-season, they also re-signed restricted free agents Lou Williams and Andre Iguodala for five years/$25 million and six years/$80 million, respectively. However, the Sixers could not find the form that pushed them to the playoffs last year. The Sixers started the year with a 9–14 record before firing head coach Maurice Cheeks on December 13. Assistant general manager Tony DiLeo took over and the Sixers gradually improved. They finished the season with a 41–41 record, with a 32–27 record under DiLeo. Brand's first season with the Sixers ended early with a right shoulder injury that required surgery. Despite the loss of Brand, the Sixers earned a playoff berth with a 95–90 win against the Detroit Pistons on April 4, 2009, at home. In the first round, they faced the Orlando Magic. Three of the first four games of the series provided late-game heroics. Iguodala and Young made game-winning shots in Games 1 and 3, respectively, while Orlando's Hedo Türkoğlu provided the game-winner in Game 4. Just like in the previous year's playoffs, the Sixers led 2–1 after three games, but the Magic won three straight to eliminate the Sixers from the playoffs. It was also during the season that the Sixers played one home game at their old home, the Wachovia Spectrum. The Sixers won 104–101 over the Chicago Bulls on March 13, 2009. The game was played to provide the final curtain call on the Spectrum, which was scheduled to be imploded on New Year's Eve 2009. Following the playoff loss, Tony DiLeo returned to his front office job, creating a head coaching vacancy. Former Washington Wizards coach Eddie Jordan was introduced as the 76ers' new coach on June 1, 2009. In the 2009 off-season, the Sixers drafted UCLA point guard Jrue Holiday with the 17th pick. The Sixers also traded power forward Reggie Evans to the Toronto Raptors for a three-point specialist, small forward Jason Kapono, who had won back-to-back three-point shootouts in 2007 and 2008. The off-season also marked the return of the 1977–97 76ers logo, along with a redesigned court and new uniforms updating the 1980s ones. The 76ers finished the season with a record of 27–55, their first 50-loss season since 1998. Most cited the reason behind this as the players' inability to play within Eddie Jordan's Princeton offense, with several players unhappy with his system. Hours after the 76ers' last game at Orlando on April 14, the team fired Jordan after one season. He was the fourth coach to be fired after one season or less since Larry Brown left the team in 2003. On May 20, 2010, TNT analyst Doug Collins was named head coach of the 76ers. Collins played for the Sixers for his entire NBA career after being the first overall pick in the 1973 draft, and had previously coached the Chicago Bulls, Detroit Pistons, and the Washington Wizards. The 76ers had the sixth-best odds at receiving the top pick in the 2010 draft, and they managed to land the second overall pick, beating out the Warriors, Kings, Timberwolves, and Nets, who all had better odds. They used that draft pick to select Ohio State University's Evan Turner. On July 13, 2011, Comcast-Spectacor reached an agreement to sell the 76ers to an investment group led by Apollo Global Management co-founder Joshua Harris. Harris' group paid $280 million for the franchise. The sale did not include any ownership stake in the Flyers or in Comcast Sportsnet. The Sixers will continue to play their home games at the Wells Fargo Center for the foreseeable future. Actor Will Smith (a Philadelphia native) and his wife Jada Pinkett Smith are notable minority owners. The new ownership group decided to retain head coach Doug Collins and president of basketball operations Rod Thorn. Ed Stefanski, who served as the team's general manager since 2007, was relieved of his duties. The Sixers had their best start since the 2000–01 season with a 20–9 record, battling for the Eastern Conference's best record and taking a firm division lead. However, they finished the rest of the season 15–22, giving them a 35–31 record. Attributed to their lack of a true go-to scorer,[citation needed] the 76ers lost hold of the top-three seed and division championship that they held for most of the season, by going on the losing streak. Nevertheless, they clinched their fourth playoff berth in the last five years on the penultimate play date of the season. In an effort to re-tool for the upcoming season, The 76ers selected Maurice Harkless, and Arnett Moultrie (via trade with Miami) in the 2012 NBA draft. The Sixers then used their amnesty clause on Brand, traded for Dorell Wright, signed Nick Young, Kwame Brown, and Ivey, and re-signed Spencer Hawes, while Lavoy Allen, Williams, and Jodie Meeks left through free agency. On August 9, 2012, the 76ers agreed to a four-team trade with the Los Angeles Lakers, the Magic, and the Nuggets. In the trade that sent six-time All-Star Dwight Howard to the Lakers, Philadelphia agreed to send 2011 first-round pick Nikola Vučević, 2012 first-round draft pick Harkless, and a future first-round draft pick to Orlando, as well as All-Star swingman Iguodala to Denver. In exchange, they received Jason Richardson from the Magic and All-Star center Andrew Bynum from the Los Angeles Lakers. The Sixers started the 2012–13 season with high expectations with the help of Bynum and the growth of the young Sixers. However, Bynum's debut with the 76ers took a hit when he was sidelined for precautionary reasons, in relation to the Orthokine knee procedure he received during the off-season. At first it looked like Bynum would be out only shortly, but little success in healing and setbacks pushed Bynum's return date further and further. As a result of many setbacks, on March 19, the Sixers announced that Bynum would have season-ending surgery on both knees. Bynum was not the only Sixer to suffer through injuries. On February 8, Richardson also went through a season-ending knee surgery. Holiday, Thaddeus Young, Nick Young, and Ivey also had injuries that sidelined them for weeks. By the end of the season, Turner and Hawes were the only Sixers to play in every game during the season. The Sixers started the season 12–9 but stumbled through a tough stretch and could not recover. The Sixers finished the season 34–48, missing the playoffs for the first time since Collins had taken over as head coach. Following the 2012–13 season, the Sixers, led by Hinkie, chose to shift in the direction of rebuilding the franchise. In an interview, Sixers guard Tony Wroten would refer to the major rebuilding culture surrounding Philadelphia as "The Process". The first move of this new plan was executed during the 2013 draft, when the Sixers agreed in principle to trade Jrue Holiday and the 42nd pick in the draft, Pierre Jackson, to the New Orleans Pelicans for Nerlens Noel and the Pelicans' 2014 first-round pick. The trade was later made official on July 12. The trade was seen by some[who?] as somewhat surprising, as Holiday had been the team's marquee player and was coming off a season that saw him make his first NBA All-Star Game. Additionally, Noel was recovering from an anterior cruciate ligament injury suffered while in college, strongly indicating that he would not be able to make an immediate impact for the Sixers as he would be inactive to start the season. The Sixers used the 11th pick in the draft to select Michael Carter-Williams as Holiday's replacement as the starting point guard. The Sixers chose Arsalan Kazemi with the 54th overall pick, making Kazemi the first Iranian chosen in the NBA draft. Following the Holiday trade, many of the team's returning players were either waived or left the team in free agency, most notably Andrew Bynum; of the 15 players on the team's roster during their final game of the 2012–13 season, only six remained with the team by January 1, 2014. In their place were a number of young prospects, many coming from the NBA Development League or signing with the Sixers after playing limited roles on other teams. Further moves at the trade deadline on February 20, 2014, saw the exits of veterans Spencer Hawes, Evan Turner, and Lavoy Allen, all of whom were key rotational players. The 76ers, predicted by many[who?] to finish with the worst record in the league, had a 3–0 start that included wins over the two-time defending champion Miami Heat and a Chicago Bulls team with high expectations. However, the Sixers struggled heavily after that, at one point posting a 26-game losing streak which set a franchise record, and tied the all-time NBA record for most consecutive losses in a single-season. The Sixers finished the season with a 19–63 record, the third-worst in franchise history. Despite that, the Sixers did not have the worst win/loss record in the overall NBA standings: the Milwaukee Bucks finished worse with a 15–67 record. Carter-Williams led all rookies in points, rebounds, assists, and steals, joining Magic Johnson and Oscar Robertson as the only rookies to do such a feat. He also won the player of the week award in his first week, being the second rookie after Shaquille O'Neal to accomplish that. He went on to win the Rookie of the Year award, becoming the first rookie drafted 10th or later to win the award since Mark Jackson in 1987 for the New York Knicks. Joel Embiid and Ben Simmons are considered to be centerpieces of the Sixers future. In the 2014 NBA draft, the Sixers selected Joel Embiid with the third overall pick, and traded with the Orlando Magic for Croatian prospect Dario Šarić, the twelfth pick of the draft. Neither prospect was expected to make an immediate impact for the Sixers, as Embiid was recovering from a stress fracture in the navicular bone, while Šarić will likely spend one or more years playing in the Turkish Basketball League. In the second round, the Sixers selected K. J. McDaniels, Jerami Grant, Jordan McRae, and Serbian prospect Vasilije Micić. The Sixers also traded a second-round pick to re-acquire Jackson from the Pelicans. In the 2014 off-season, the Sixers traded Thaddeus Young to Minnesota in the Kevin Love to Cleveland trade, and received the Heat's 2015 first-round draft pick, Luc Mbah a Moute and Alexey Shved, leaving only two players with three years of experience on the Sixers remaining. In June 2014 the it was announced that the team would move their practice facility and home offices to the Camden Waterfront, across the Delaware River from Philadelphia in Camden, New Jersey. On November 29, 2014, the 76ers lost to the Dallas Mavericks 103–110 and set a franchise record for losses to start the season, as they fell to a record of 0–16. After losing their next game against the San Antonio Spurs to make it 0–17, the 76ers were on the verge of tying the NBA record of 18 straight losses to start a season if they lost to the Minnesota Timberwolves on December 3, but they broke their losing streak and won their first game of the 2014–15 season with an 85–77 victory at Minnesota. In three deals at the 2015 NBA trade deadline, the 76ers traded Carter-Williams and McDaniels for JaVale McGee, Isaiah Canaan, and three draft picks, including a protected 2015 first round pick originally owned by the Los Angeles Lakers. On May 19, the 76ers were awarded the third overall pick in the 2015 NBA draft, where they selected Duke center Jahlil Okafor with the third overall pick. The 76ers also signed JP Tokoto with the 58th overall pick. On November 27, the 76ers lost to the Houston Rockets 116–114, giving them a 27-game losing streak dating back to the previous season, which became the longest losing streak in professional sports. During the same game the Sixers set a franchise record of 16 three pointers made during the losing effort. On December 1, the 76ers beat the Lakers at home by a score of 103–91, but not before setting a league record 28 consecutive losses dating to the 2014–15 season. In doing so, the 76ers also managed to avoid setting a new NBA record of most losses to begin a season. They instead tied the old record of 18 losses set by the then-New Jersey Nets in the 2009–10 season. On December 8, the 76ers announced that they would hire Jerry Colangelo, Chairman of the Board of Directors for USA Basketball, as the Special Advisor to the Managing General Partner and Chairman of Basketball Operations. In the first move the team made after hiring Colangelo, they traded two second-round draft picks to the Pelicans in return for point guard Ish Smith. After starting 1–30, the 76ers went 7–25 following the trade. On March 1, 2016, the 76ers, at the time with a record of 8–51, missed the playoffs for the fourth straight season. The 76ers finished the season 10–72. On April 6, 2016, Sam Hinkie resigned by way of a 7,000 word letter of resignation. On April 10, 2016, Bryan Colangelo, the son of Jerry Colangelo, was named president of basketball operations. In the NBA Draft Lottery, the Philadelphia 76ers earned the first pick in the draft, after they had a 25% chance of earning the spot. On June 23, 2016, following the 2015–16 season, and after the 76ers were awarded the first overall pick in the 2016 draft, the team selected LSU Point Forward Ben Simmons first overall. The Sixers also selected French basketball player Timothé Luwawu-Cabarrot and Turkish basketball player Furkan Korkmaz with the 24th and 26th picks in the 2016 NBA draft respectively. Many consider the 2016 NBA Draft a turning point for the 76ers after their three seasons of not being competitive resulted in the franchise garnering the first overall pick, the first time the team owned the first since 1996 when the 76ers selected point guard Allen Iverson first overall. The Sixers subsequently traded for another number one pick in the 2017 NBA draft, choosing Markelle Fultz. The 2017–18 season was the most successful season since the 2011–12 season as the team finished the regular season in third place in the Eastern Conference with a 52–30 winning record and clinched a playoff spot. The season also saw the 76ers reaching a franchise record 16-game winning streak. In the First Round of the playoffs, the Sixers defeated the Heat in five games, to win their first playoff series since the 2011–12 season. On November 12, 2018, the 76ers traded Šarić, Robert Covington, Jerryd Bayless and a 2022 second-round draft pick to the Minnesota Timberwolves in exchange for Jimmy Butler and Justin Patton. On February 6, 2019, the 76ers acquired forward Tobias Harris, as well as Boban Marjanović and Mike Scott, in a trade with the Los Angeles Clippers, sending Wilson Chandler, Mike Muscala, Landry Shamet, a protected 2020 first-round pick, Miami's unprotected 2021 first-round pick and Detroit's 2021 and 2023 second-round picks to the Clippers. While team colors have changed somewhat over the years, with emphasis alternating between blue, white, red, and even black and gold, the 76ers have always been closely identified with the logo featuring the number 76 with 13 stars arranged in a circle above the number 7 to represent the original 13 American colonies. The logo portrays the patriotic nature of the United States, prominently featuring the colors red, blue and white, and Philadelphia's reputation as the birthplace of American independence. The logo was used from 1963 to 1977, after which it was slightly modified to feature the full team nickname and a basketball adorning the logo. This iteration was used from 1977 to 1997. The 76ers also had an alternate logo with the '76' wordmark inside the silhouette of the Liberty Bell with 'Philadelphia' on top. From 1971 to 1978 they returned to blue as the primary road color, with the more popular moniker 'SIXERS' written in Art Deco lettering. With various adjustments from block lettering to Bookman Old Style font, this version with stars in side stripes stayed until 1978. The uniforms from 1978 to 1991 were a classic nod to their 1967 uniforms, except that the road color is red and the home lettering is blue with red trim. The name 'SIXERS' was featured in block lettering. This uniform was used in their 1983 title run. From 1991 to 1994, the Sixers followed other teams in designing more graphic-laden uniforms by featuring a streaking blue splash with tricolored stars heading up to the word 'SIXERS' in Helvetica and in either red (home) or white (away). In addition, the word 'PHILADELPHIA' was added atop the team name. From 1994 to 1997, the Sixers return to a more basic uniform design, featuring a more ornate lettering. The team name is in red (home) and white (away), with numbers in blue. During the 2008–09 season, while the previous logo was still in use, the original 'Stars and Stripes' 76 logo was revived to coincide with the team's 60th anniversary (counting the Syracuse years). The previous 1977–97 logo was reintroduced, with the addition of a red square and 'Philadelphia' inside a blue rectangle below it, although the partial logo without the square, city name and rectangles was also used. Uniform colors for this anniversary edition were white only, using the 1978–91 design. The anniversary uniforms proved so popular that they inspired the team to return to the old logo and color scheme full-time for the 2009–10 season, with red away uniforms completing the ensemble. This variation featured different striping patterns, team name in blue and numbers in red on the home uniforms, and monotone script. This combination continues to represent the 76ers to the present. A blue alternate uniform, which mirrors that of the red away uniform, was unveiled before the 2012–13 season. For the 2013–14 season, the blue uniforms became the primary while the red uniforms became the alternate, marking the first season since the 1977–78 season that the 76ers wore blue as a primary away uniform. The red uniform was retired prior to the 2014–15 season. A new version of the classic 76ers logo was unveiled for the 2015–16 season, featuring a slight tilt to the white basketball and a roundel featuring the city name and six stars. A secondary "Dribbling Ben Franklin" logo was also introduced. The home white, away blue and red alternate uniforms featured a mix of classic styles used in previous uniforms. The home white and away blue uniforms featured the 'PHILA' wordmark as homage to the late 1960s uniforms, while the red alternates featured the 'SIXERS' wordmark in tribute to the 1980s uniforms. Side stripes featuring seven stars on one side and six on the other pay homage to the 1970s uniforms, while the shoulder piping was a callback to the 1980s uniforms. The inscription 'PHILA TOUGH' is sewed on the bottom of all uniforms. The team's first annual "City" uniform features an ornate "Phila" lettering, blue numbers with red drop shadows, and other elements inspired from the American Declaration of Independence in 1776. Their second "City" uniform, inspired by the 1976 film Rocky, shows thirteen stars to represent the thirteen colonies. On February 10, 2015, Franklin the Dog was introduced as the new Philadelphia 76ers mascot to 400 fans and media at The Franklin Institute. After spending the weekend in New York City for the 2015 NBA All-Star Game as the newest NBA mascot, he then was introduced at the Wells Fargo Center in his first game on February 19, 2015. Wilt Chamberlain being defended by Bill Russell of the Boston Celtics. The rivalry between the 76ers and Boston Celtics is the earliest dated rivalry in the NBA. The two teams have the most meetings in the NBA Playoffs, playing each other in nineteen series, of which the Celtics have won twelve. It is considered to be the second-greatest rivalry in the NBA, next to the Celtics–Lakers rivalry. The rivalry first peaked when Wilt Chamberlain and Bill Russell of the Celtics played each other from 1965 to 1968. The 1966–67 Sixers, voted the best team in league history during the NBA's 35th anniversary, set a then-record by winning 68 games in the 81-game season (a record since broken by the Lakers, Bulls and Warriors) and ending Boston's eight-year title reign which led to the infamous "Boston's Dead!" chants. The 76ers went through a rebuilding period through the early 1970s, and came back to relevance during the 1976–77 season, in which they defeated the Celtics en route to a Finals appearance. Both teams would peak in the 1980s, with every single Eastern Conference Championship between 1980 and 1987 belonging to either the 76ers or Celtics. The Larry Bird-led Celtics won five of them, while the Julius Erving-led 76ers won the other three. The Charles Barkley-led Sixers of the later 1980s took the fight to the Celtics; however, neither team experienced much playoff success in the late 1980s, and both took steep nosedives in the Eastern Conference rankings throughout the 1990s. The Spectrum, shown in 2005, hosted the 76ers from 1967 to 1996. Wells Fargo Center, known as the CoreStates (1996–1998), First Union (1998–2003), and Wachovia Center (2003–2010), is currently the home arena of the 76ers. The 76ers' training facility and headquarters for basketball operations are located at the Philadelphia 76ers Training Complex in Camden, New Jersey. In 2014, the 76ers announced their plans to construct a new training complex, which was officially opened on September 23, 2016. The team previously practiced at the campus of the Philadelphia College of Osteopathic Medicine. Former 76ers public address announcer Dave Zinkoff. 1 Started playing for the team when they were known as Syracuse Nationals. Inducted as a player. He also coached the 76ers (1963–1966). 2 Started playing for the team when they were known as Syracuse Nationals. 3 Played for the team when they were known as Syracuse Nationals. Inducted as player. He also coached the Nationals (1948–1958). 4 Inducted as player. He later coached the 76ers (1977–1985). 5 Played for the team when they were known as Syracuse Nationals. 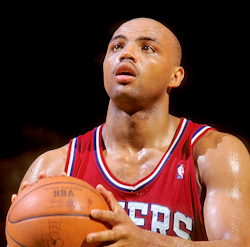 6 In total, Barkley was inducted into the Hall of Fame twice – as player and as a member of the 1992 Olympic team. 7 Inducted as player for his contributions in ABL. Never played for the Nationals/76ers. Coached when the team was known as Syracuse Nationals. 8 Coached the team twice: as Nationals (1960–1963) and as 76ers (1966–1968). Inducted as coach. He also played for the Nationals (1949–1951). 9 Inducted as contributor. He also played for the Nationals (1952–1958). 11 Inducted as contributor. Served as president of the 76ers (2010–2013). In September 2016, the 76ers acquired both Team Dignitas and Apex Gaming and merged them under the Dignitas brand, becoming the first North American professional sports team to own an eSports team. ^ Preldžić was drafted by the Phoenix Suns and his rights immediately traded to the Cleveland Cavaliers. His rights were later traded to the Washington Wizards, Dallas Mavericks and Indiana Pacers before being acquired by Toronto. ^ a b "Historical Look at the Sixers" (PDF). 2018–19 Philadelphia 76ers Media Guide. NBA Media Ventures, LLC. November 12, 2018. Retrieved December 15, 2018. ^ "NBA.com/Stats–Philadelphia 76ers seasons". National Basketball Association. Retrieved January 10, 2017. ^ "Sixers Quick Facts–General Information" (PDF). 2018–19 Philadelphia 76ers Media Guide. NBA Media Ventures, LLC. November 12, 2018. Retrieved December 15, 2018. ^ "Philadelphia 76ers Reproduction and Usage Guideline Sheet". NBA Properties, Inc. Retrieved May 30, 2017. ^ "Philadelphia 76ers And StubHub Announce First Jersey Sponsorship In Major American Professional Sports". Sixers.com (Press release). NBA Media Ventures, LLC. May 15, 2016. Retrieved December 17, 2017. ^ "Group led by Joshua Harris completes purchase of Sixers". Sixers.com. NBA Media Ventures, LLC. October 18, 2011. Archived from the original on October 18, 2013. Retrieved May 15, 2015. ^ Baker, Mark Allen (October 25, 2010). Basketball History in Syracuse: Hoops Roots. Arcadia Publishing. ISBN 9781614236450. ^ "Local legend: Schayes reflects on Hall of Fame career as face of Syracuse Nationals". dailyorange.com. Retrieved January 24, 2017. ^ "NBA.com: Teams – Legends profile: Dolph Schayes". Retrieved January 29, 2012. ^ "History of the Name". Sixers.com. NBA Media Ventures, LLC. June 19, 2015. Retrieved June 19, 2015. ^ Padiernos, Raphael (May 26, 2015). "Philadelphia 76ers: Stephen A. Smith wrong about new logo". isportsweb. Retrieved October 23, 2017. ..the 76ers name was a tribute to the gallant men who forged this country’s independence in 1776. ^ Sachare, Alex (2008). "NBA Encyclopedia Playoff Edition: The Best Team Ever". ^ Silva, Steve (June 2, 2008). "The origins of 'Beat LA'". The Boston Globe. Retrieved October 14, 2010. But that's not when the chant took off in Boston. It actually started as a chant supporting the Philadelphia 76ers. ^ "The Most Controversial Men in Sports". Bezbrige.com. Archived from the original on January 22, 2013. Retrieved January 27, 2013. ^ "CNNSI.com – NBA Basketball – Say It Ain't So: Philadelphia 76ers". Sports Illustrated. Retrieved March 22, 2013. ^ Gelston, Dan. "Iverson's Destination Remains Unknown". The Washington Post. Retrieved May 2, 2010. ^ DiTore, Larry (December 4, 2007). "NBA's 76ers Fire General Manager King, Hire Nets' Stefanski". Bloomberg.com. Retrieved December 4, 2007. ^ Abrams, Jonathan (July 9, 2008). "Clippers' two big stars find the exit". Los Angeles Times. Retrieved May 2, 2010. ^ "Former Tiger Rodney Carney just wants to fit in with Timberwolves". The Commercial Appeal. July 16, 2008. Retrieved March 25, 2011. ^ "Baron Davis to sign with Clippers; Elton Brand also expected to stay in L.A." Cleveland.com. July 2, 2008. Retrieved March 25, 2011. ^ Abrams, Jonathan (July 4, 2008). "Davis confident Brand will stay". Los Angeles Times. Retrieved May 2, 2010. ^ "76ers sign free agent guard Royal Ivey". Sixers.com. NBA Media Ventures, LLC. July 28, 2008. Retrieved March 25, 2011. ^ "2008 Foot Locker Three-Point Shootout". NBA.com. Retrieved March 25, 2011. ^ "Philadelphia 76ers Unveil New Team Uniforms for 2009–10 Season". Sixers.com. NBA Media Ventures, LLC. September 23, 2009. Retrieved March 25, 2011. ^ "Allen Iverson accepts Philadelphia 76ers' contract offer – ESPN". Sports.espn.go.com. December 2, 2009. Retrieved January 27, 2013. ^ "Source: Philadelphia 76ers offer Allen Iverson one-year deal – ESPN". Sports.espn.go.com. December 1, 2009. Retrieved January 27, 2013. ^ "Denver Nuggets vs. Philadelphia 76ers – Recap – December 07, 2009 – ESPN". Espn.go.com. December 7, 2009. Retrieved January 27, 2013. ^ "Philadelphia 76ers fire Eddie Jordan as coach – ESPN". Sports.espn.go.com. April 15, 2010. Retrieved January 27, 2013. ^ "Philadelphia 76ers Name Doug Collins Head Coach". NBA Media Ventures, LLC. May 21, 2010. Retrieved January 27, 2013. ^ "Sources: Dwight Howard to Lakers". ESPN. Retrieved August 10, 2012. ^ "Spencer Hawes, Jrue Holiday lift 76ers past Trail Blazers". ESPN.com. Retrieved June 30, 2015. ^ "Sixers' Jason Richardson needs surgery, out 9–12 months". NJ.com. Retrieved June 30, 2015. ^ Dan Gelston, AP (April 18, 2013). "It's official: Doug Collins resigns as 76ers coach". USA TODAY. Retrieved June 30, 2015. ^ "Tony DiLeo out as Sixers GM; Rockets' Sam Hinkie in". Archived from the original on June 23, 2013. Retrieved June 30, 2015. ^ Jenkins, Lee (October 26, 2016). "Joel Embiid: 'I'm The Process'". Sports Illustrated. Retrieved December 1, 2016. ^ "The Philadelphia 76ers' radical guide to win -- eventually". Retrieved November 14, 2017. ^ Rappaport, Max (July 12, 2013). "Sixers Acquire Rights to Nerlens Noel and a 2014 First-round Pick in Trade With New Orleans". Sixers.com. NBA Media Ventures, LLC. Retrieved June 30, 2015. ^ "NBA Draft: Sixers take Arsalan Kazemi, first Iranian NBA player drafted". ^ "Pacers send Sixers to team-record 21st straight loss". philly-archives. Retrieved June 30, 2015. ^ Ben Golliver. "Sixers lose to Rockets, tie NBA record with 26th straight loss". SI.com. Archived from the original on May 31, 2014. Retrieved June 30, 2015. ^ a b "76ers guard Carter-Williams wins Kia Rookie of the Year". NBA.com. May 6, 2014. Retrieved June 30, 2015. ^ Rappaport, Max (November 4, 2013). "Michael Carter-Williams Named Eastern Conference Player of the Week". Sixers.com. NBA Media Ventures, LLC. Retrieved June 30, 2015. ^ Ford, Bob (June 27, 2014). "Hinkie's playing a long game". The Philadelphia Inquirer. Retrieved June 27, 2014. ^ Pompey, Keith (June 27, 2014). "Sixers draft Embiid, then trade for Croatian forward". Philly.com. Retrieved June 27, 2014. ^ "Chandler leads Mavericks over 76ers 110–103". NBA.com. November 29, 2014. Retrieved November 29, 2014. ^ "76ers snap 0–17 start with 85–77 win over Wolves". NBA.com. December 3, 2014. Retrieved December 4, 2014. ^ Casey, Tim. "Sixers get first win, ruin Kobe Bryant's farewell in Philadelphia". USA Today. Retrieved December 3, 2015. ^ "Jerry Colangelo Joins Philadelphia 76ers". Sixers.com. NBA Media Ventures, LLC. December 7, 2015. Retrieved January 29, 2016. ^ "Philadelphia Sixers close in on trade for Ish Smith". Espn.go.com. December 24, 2015. Retrieved January 29, 2016. ^ share (January 17, 2016). "Sixers started the season 1–30 (−13.6 NetRtg). In the Ish Smith Era: 4–7 (−3.98 NetRtg): nba". Reddit.com. Retrieved January 29, 2016. ^ "Sam Hinkie resigns and Twitter erupts with debate". Retrieved July 27, 2017. ^ Wire, SI. "Bryan Colangelo named Sixers GM". Retrieved July 27, 2017. ^ Youngmisuk, Ohm. "Sixers take LSU's Ben Simmons with No. 1 overall pick". ^ "Draft Flashback: 76ers select Allen Iverson with the 1st pick in 1996". June 26, 2015. Retrieved June 30, 2016. ^ "Sixers clinch first playoff berth in six seasons thanks to Pacers' victory". ESPN.com. March 26, 2018. Retrieved April 20, 2018. ^ McCaffery, Jack (April 11, 2018). "Sixers roll into playoffs on 16-game winning streak, draw Heat in first round". The Delaware County Daily Times. Archived from the original on April 20, 2018. Retrieved April 20, 2018. ^ "Bryan Colangelo resigns as president of 76ers". ESPN.com. June 7, 2018. Retrieved November 12, 2018. ^ Wojnarowski, Adrian. "Sixers promote VP of basketball ops Elton Brand to GM role". ESPN. Retrieved November 11, 2018. ^ "Team Acquires Four-Time All-Star Jimmy Butler". Sixers.com. NBA Media Ventures, LLC. November 12, 2018. Retrieved November 13, 2018. ^ "Harris, Marjanović, and Scott Acquired From LA Clippers". Philadelphia 76ers. Retrieved 2019-02-16. ^ "Sixers relaunch brand with official change to primary logo". Sixers.com (Press release). NBA Media Ventures, LLC. June 23, 2009. Retrieved December 26, 2016. ^ "History of the 76ers Uniform". Sixers.com. NBA Media Ventures, LLC. Retrieved December 29, 2012. ^ "76ers Introduce Updated Brand Identity". Sixers.com. NBA Media Ventures, LLC. May 12, 2015. Retrieved December 26, 2016. ^ "2015–16 Sixers Uniforms". Sixers.com. NBA Media Ventures, LLC. June 18, 2015. Retrieved June 19, 2015. ^ "Sixers Unveil 2017-18 Nike Association & Icon Jerseys". Sixers.com. NBA Media Ventures, LLC. August 1, 2017. Retrieved December 15, 2018. ^ "Photos: 2017-18 Sixers Nike Uniform Unveil". Sixers.com. NBA Media Ventures, LLC. August 1, 2017. Retrieved August 12, 2017. ^ "Photos: Nike Statement Jersey Reveal". Sixers.com. NBA Media Ventures, LLC. September 15, 2017. Retrieved December 8, 2017. ^ "Sixers Unveil New 'City Edition' Uniform". Sixers.com. NBA Media Ventures, LLC. December 27, 2017. Retrieved December 27, 2017. ^ "Team Unveils New City Edition Uniform Inspired by 'Rocky,' 'Creed' Films". Sixers.com. NBA Media Ventures, LLC. October 30, 2018. Retrieved October 30, 2018. ^ "Team Reveals New Earned Edition Jerseys". Sixers.com. NBA Media Ventures, LLC. December 12, 2018. Retrieved December 18, 2018. ^ "NBA: Most frequent playoff matchups". McCubed.net. ^ Maxwell Ogden. "Most Heated Rivalries in the NBA". Bleacher Report. Retrieved June 30, 2015. ^ "Sixers Announce Plans For State-of-the-art 120,000 Sq. Foot Training Center". Sixers.com. NBA Media Ventures, LLC. June 10, 2014. Retrieved January 27, 2017. ^ Seltzer, Brian (January 26, 2016). "Sixers Release Construction Update for New Training Complex". Sixers.com. NBA Media Ventures, LLC. Retrieved January 27, 2017. ^ Seltzer, Brian (September 23, 2016). "On the Beat: New Training Complex Brings Modern Feel, Promise". Sixers.com. NBA Media Ventures, LLC. Retrieved January 27, 2017. ^ Rappaport, Max (October 7, 2014). "Renovations Made At Sixers' Practice Facility". Sixers.com. NBA Media Ventures, LLC. Retrieved February 1, 2017. ^ a b Tannenwald, Jonathan (June 23, 2017). "What they're saying about Sixers' other draft picks: Anzejs Pasecniks, Jonah Bolden, Mathias Lessort". Philly.com. Retrieved April 21, 2018. ^ "Sixers Select McDaniels, Grant, Micic in the Second Round of the 2014 NBA Draft". Sixers.com. NBA Media Ventures, LLC. June 27, 2014. Retrieved October 2, 2014. ^ "Raptors Complete Trade With Indiana". NBA.com. July 14, 2017. Retrieved April 21, 2018. ^ Bogage, Jacob (February 8, 2019). "The 76ers retired Moses Malone's jersey with each of his teammates' names stitched onto the banner". Washington Post. Retrieved February 9, 2019. ^ Seltzer, Brian (January 11, 2016). "Sixers to Retire Dolph Schayes' Number "4"". Sixers.com. NBA Media Ventures, LLC. Retrieved February 22, 2016. ^ "McGrady, Self, Lobo headline 2017 HOF class". Retrieved July 27, 2017. ^ "Sixers Acquire, Merge, and Manage eSports Teams Dignitas, Apex". Sixers.com. NBA Media Ventures, LLC. September 26, 2016. Retrieved October 11, 2016. Wikimedia Commons has media related to Philadelphia 76ers.